A section of a picture Post Card circa 1908. Showing the Cwmnanty-Groes valley. Points of Interest – The image shows the Richmond Road and the Bryngwyn Road in the foreground in course of construction. 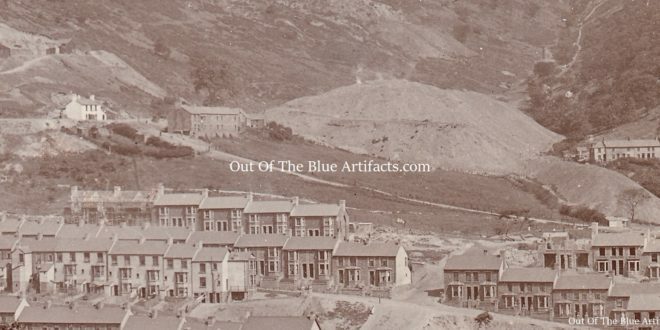 Upper (left) are the out-buildings for the old Quarry Works, below them is the White House, 5 Harris Houses and the 4 Adams Houses. Behind the old Cwmnanty-Groes Coal Level waste tip can be seen smoke issuing from the level buildings, in the valley is an old Air-Shaft chimney for the circulation of air in the levels. Far (right) are the 5 premises of Gilfach Cottages.